I haven't blogged in quite a while (life and work keep kicking my rear end)! ThumbJam is an outstanding music app for the novice who just likes to jam to the professional musician. This app has great controls that make it easy to play. Simply choose an instrument, select a scale, and tap or slide your thumb or fingers over the screen. You can use multi-touch to play harmony and chords, and each instrument has additional controls for pan, volume, tremolo, etc. which are activated by tilting or shaking. Optionally, you can load a drum loop and play along with it. There are 30+ realistic sounding instruments available and more can be downloaded or created/sampled by the user. There are 15 drum loops ranging in style from pop/rock/hip to world music (Hispanic, African, Asian) available for download. 100+ scales in nine different categories are included with the option to create your own scales. All sessions can be recorded and saved, then reloaded and new instruments layered onto the loop. For the advanced user, there are many options and controls for creating/editing effects, collaborating through bluetooth, and transferring your loops, sessions and sample sets to your computer via WiFi. This is an outstanding app for personal use and would be very useful especially for older students, but is priced rather high for purchase by most public schools. Recommendation: If you like to jam and experiment with music and don't mind the $6.99 price tag then this is an excellent and fun app. It is also an excellent tool for professional musicians to create music on or be able to play instruments that they don't own or want to haul around. I can also also recommend it for use in secondary music and music technology classes as a tool for creating loops and samples and enjoying in jam sessions. Classroom Use Examples / Ideas: With younger students, selecting a pentatonic scale allows them to jam together and all of the notes and harmonies sound great together. Older students can create very sophisticated loops and samples and use them in other programs (such as Audacity or Aviary/Myna) to create their own compositions. They could also form ensembles or bands for performances. As an instrumental director, I could use this app to demonstrate a passage of music or possibly to add an instrument to an ensemble that is not available. Other: As a music teacher, I've had a lot of fun experimenting with this app. I've been playing with it for about a week, and I've barely scratched the surface of its capabilities. Hey, check out our Ning (Online Community) devoted to helping teachers utilize these devices to the their fullest. 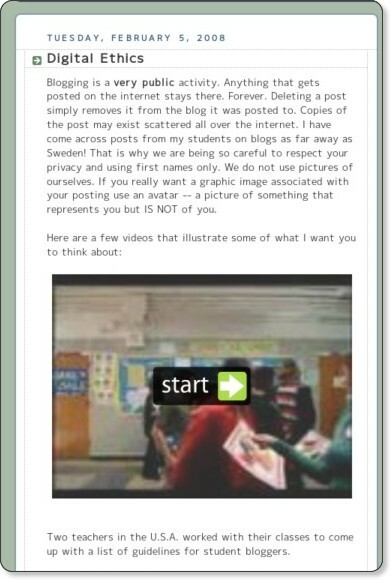 Please leave a comment if you agree, disagree, or have other creative uses for this app in the classroom, etc. This is for a new middle school music technology class that I am starting in the fall. I have a set of 18 aging Win2000 desktops plus my personal WinXP laptop and my school issued Win2000 laptop (supposed to be replaced this summer, knock on wood!). We do have internet access and because these computers (with the exception of the school laptop) are mine (scavenged, purchased, donated and maintained by me) they are not locked down except for the district filtering software. I previously purchased 20 copies and installed the older version of Super Duper Music Looper onto all of the computers, so that is available. I have asked that no more than 20 students be enrolled in the class, but considering how things work at my school, that number will probably be higher. I would prefer to keep it as close to 1 to 1 during class, but I will just have to wait and see. Our school is 98% free and reduced lunch so most of my kids don't have a computer/internet at home. Our tech ed program was dropped two years ago by a previous principal so the students don't get much technology at school, so I would like to work on technology literacy in addition to music technology. We have 45 min. class periods, 5 days a week, and this will be a semester class (18 weeks). There is no budget money for this class so I'm trying to do this with free software and on the web. The ultimate product for each student (or possibly teams of students) in this class is a 1-3 minute video using music composed by the students and pictures/video (Creative Commons/Fair Use) found or created by the students. This will be uploaded to a class wiki and shared with the class. Other projects will be considered as the students' interests and time allow. These are some of the resources that I've found so far and my current thoughts on using them. I would appreciate any comments, thoughts, tips, or ideas. I will use this to assess what info literacy skills my students have. Hopefully, results from this will help to determine which Literacy Skills we need to focus on. Well done, interactive site w/worksheets. Starts at the very beginning and works through basic skills. Detective challenge at the end. 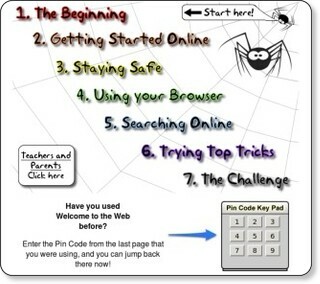 Pages can be resumed using pin codes. Suitable for grades 3-8. Depending on the results from the pre-assessment above, I will use some or all of the above to build skills. I will probably use these as whole class activities. They have large and small group activities and discussion questions. This is a great interactive site for understanding copyright and licensing using the tools that we will use in music tech class. Students use a fairly simple looping interface to create their own short songs. They can then assign licenses from completely free to for sale to others on the site. Users are assigned 200 credits to use for purchasing the loops for use in remixes or downloads. 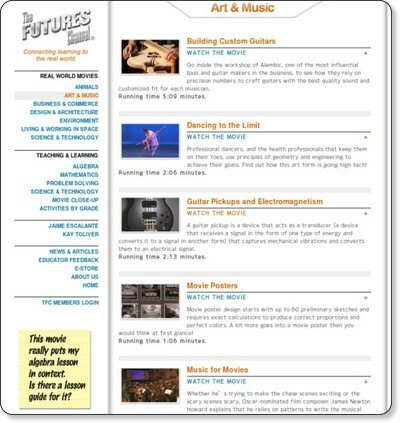 There are also videos and activities for discussing copyright, fair use, and intellectual property. Pros: over 1,000 free downloadable music samples. Easy to use, 4 track sequencer. Cons: Sequenced music file isn't downloadable, but can be emailed. Sequencer may be too simple to produce the best quality tracks. Also, site is no longer updated, so I don't know how long it will be up. Pros: Downloadable samples and free sequence software in addition to online sequencer. Lots of information/background on creating/composing, samples, and the orchestra. Online remixing of pre-existing compositions. Remixes can be saved (email required). Cons: I don't see any way to download the online remixes that are created. The music samples are all orchestral (not my students favorite genre). Pros: Lots of pop/rock/country instruments available. Can even record vocals. Cons: Students must input chords, might need help with chord patterns. $4.95 per month per account. Can apply for grant program (none are available at present). Grants run out at the end of the school year. Other Online Music Apps resources. That concludes Part 1. I'll post later next week with my thoughts on freeware programs and other resources for creating the student presentations. Also includes tips on using Google Earth and pocket video cameras. Short videos connecting learning to the real world. It has videos about art and music. One I really liked was about drumming and math. The videos are downloadable as well as available on the website. There is also an affordable option which gives you access to extra features and high-quality full-screen videos. Thanks to I Want to Teach Forever for information on this site. From Darren Kuropatwa's class blog. How he discusses Digital Ethics with his students. Searchable pages from the K12 Online conference. Thanks to Darren Kuropatwa and David Warlick. Forgive me, for I am about to sin. I'm a middle school music teacher (Band, Orchestra, Vocal and Music Technology) in an inner-city school in the central part of the USA. I'm the mother of two beautiful, bright, and talented daughters.